>it is moderately annoying that once i have something that i feel like blogging about my internet goes out for a week straight and i don’t have enough time to walk to campus for the sole purpose of blogging. that’s a little lame maybe. this isn’t THAT essential to my life.anyway. david crowder stopped by kstate on thursday night. mccain auditorium. 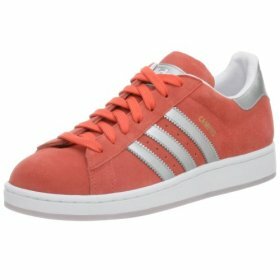 and he and i have the same shoes. holler. what a stylin’ fellow. crowder is able to accomplish something within me that most/all other christian artists can’t do. perhaps it is because i just like the sound of his music more than others. possible. but i really feel like he has the whole worship/concert balance truly mastered. first off, his lyrics are so simple yet every simple line is so passionate. i bought his new cd, Remedy, last monday. It would be shocking if i were able to learn the lyrics to the cd by tuesday or wednesady. that would show that i have a terrific ability to memorize things. but it is something completely different for me to pop in the cd and be able to sing along with the praises before the song is even half over. when it comes to worship music, that is what is important. being able to connect is crucial, and crowder’s lyrics are perfectly simple yet powerful. He takes repetition and simple lyrics and surrounds them with a mood or style of music that focuses the mind and draws you in. or at least draws me in. he is also able to put on an incredible concert (and album) while not losing the Christ-centered focus. difficult to do. I get pumped about his music, but not because of the sound or the hype, but because it points me to God. they’re not concerts. Crowder’s albums/concerts are truly worship experiences. needless to say it was a legit experience. like i said, DC*B has a new cd out too, Remedy. It’s an all around worship album. Songs about prayer, worship and praise (as expected and executed), but what surprised me and impressed me on this album is his later tracks. The overall focus (and name of the cd) appears to be what we can do as Christians to change the world. crowder understands that the Christian culture is changing and that the questions being asked today differ greatly from those of 30 years ago. Today’s Christian youth is about action and movement. 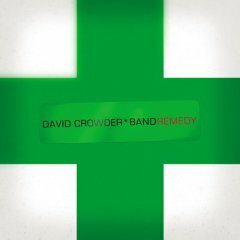 What can we DO to further God’s kingdom – that is what Crowder has directed this cd toward. even if they are the last two tracks on the album.”Remedy” and “Surely We Can Change” are the heart of this cd i think. “Remedy” = Jesus is the Remedy. “Surely…” = We can show others Jesus. be on guard for a handful of new worship songs hitting churches everywhere. Previous Previous post: >moments in education. Next Next post: >greetings from 214 hale.